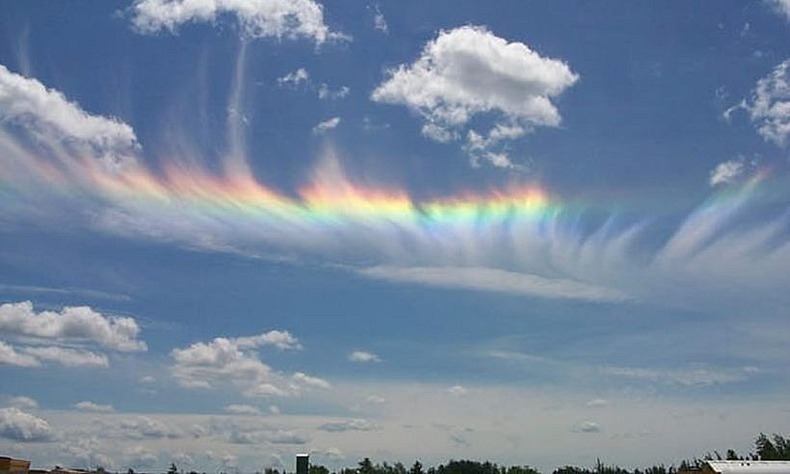 “Fire Rainbows” are neither fire, nor rainbows, but are so called because of their brilliant pastel colors and flame like appearance. Technically they are known as circumhorizontal arc - an ice halo formed by hexagonal, plate-shaped ice crystals in high level cirrus clouds. The halo is so large that the arc appears parallel to the horizon, hence the name.